Gold usually exists in nature in combination with other rocks and minerals. Some of these, such as silver and copper, may also be precious or semi-precious, but a variety of base metals are usually also present. Though several different techniques exist, any process used to separate metal from impurities or unwanted material is called refining. In addition to the refining of newly mined gold, mints and other facilities also recycle gold scrap, including jewelry, dental filings and metal found in consumer electronics, by removing impurities. Melt. If a large amount of base metals metals are present, the first step is to use a crucible to heat the metals to their melting points. Because gold melts at 1102 degrees C, this is not generally a practical process for most amateurs. Bind. When the material is melted, borax or soda ash is stirred into the crucible to bind with the base metals. The liquid is poured into a mold, where the larger impurities collect on the top as slag. The more dense gold sinks to the bottom. Separate. 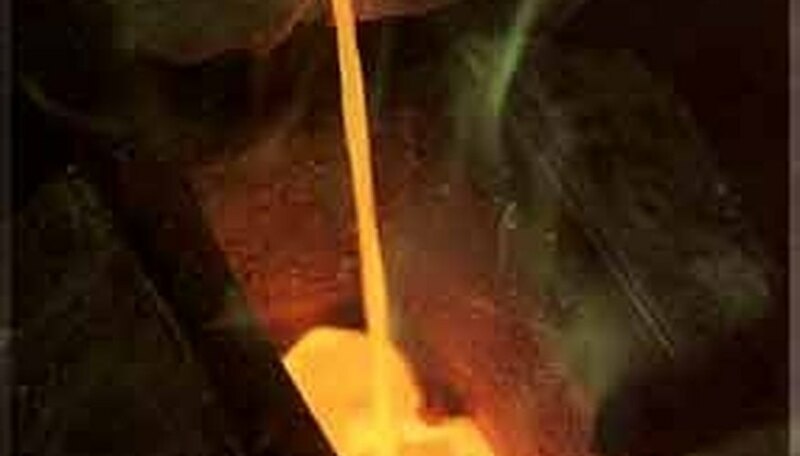 When the mold has cooled, the gold can be broken off from the slag and remelted. This time, when it is poured into a mold, the contents will be gold of approximately 80 to 95% purity. Collect. Refining jewelry or scrap gold that has already been refined from ore, but is in a less than pure alloy can be done at home. First collect old rings, necklaces, earrings, dental fillings or anything else made of gold that's no longer wanted in its current form. Acid bath. Gold can be separated out of an alloy by soaking in a bath of nitric acid and hydrochloric acid. Commercial refining acid products are available. Typically, the acid bath must be left to soak for anywhere between 1 to 24 hours. Neutralize acid. The gold that is lifted out of the alloy will be suspended in the acid and needs to be separated from the acid. But before that can be done, the acid must be neutralized by adding a mixture of boiling water and uric acid, a less caustic acid that will raise the pH of the acid bath. Precipitate. Add to the mix a solution of borax and water, which will precipitate the gold out of solution over a period of several minutes. The brownish mud at the bottom of the container is gold. Filter and heat. Pour off the remaining liquid so that only the precipitate remains. 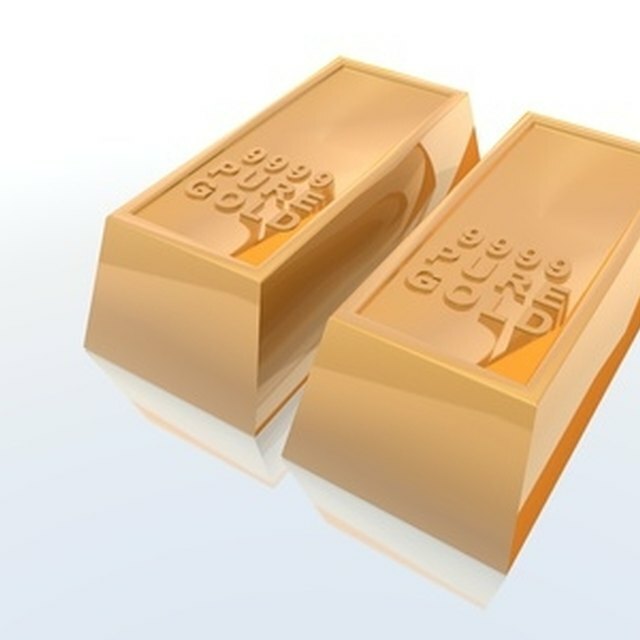 Use a blowtorch to melt this material into a more recognizable form of gold. The result of this process is roughly 99% pure. Always wear protective gear such as gloves and goggles and be cautious when handling hot or caustic materials!. Nicholson, Joseph. "Refining Gold." Sciencing, https://sciencing.com/refining-gold-4545930.html. 24 April 2017.